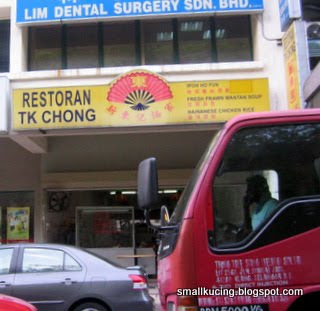 We went to "makan" Hor Fun at Restaurant TK Chong at Damansara Perdana again the other day. The restaurant is located at No. 5-1, Jalan PJU8/51, Perdana Business Centre, Damansara Perdana. Been here a few times before. Mamarazzi love the Taugeh here. 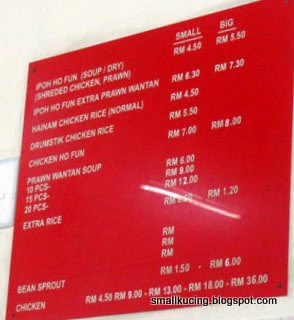 A large bowl of Hor Fun at RM5-50. Worth every sen. A lot of "liu" and the soup very sweet. I love it so much that I ate nearly half the bowl of Hor Fun. Mamarazzi wanted to order a second bowl for herself but then they ran out of Hor Fun. We arrived there just before they were closing for the day. Next time must go earlier. But the parking is very hard to find at that area. Here are the Taugeh that Mamarazzi raving about. See! the taugeh are like those Taugeh from Ipoh. All bulat-bulat ones. Taste juicy and sweet. Here are the pricing for the food there. 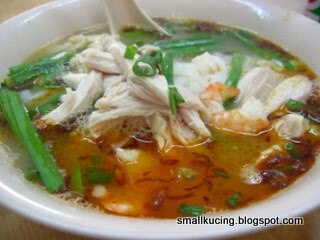 Kathy, come to ipoh la for these.. by the way, the koay teow chicken looks good eh.. one bowl in ipoh cost around 3.50..
wow...the hor fun really looked very flavourful. Big and fat taugeh tast really nice ! I dont really like those fat and short taugeh. I prefer the skinny long type. haha! Aiyo it's now lunch time and I'm so hungry! Looking at your hor fun makes me even hungrierrrr!!! LOL! Wah, chubby chubby ipoh mari taugeh....everyweek also I buy! Nice! Wow! Expensive! Never mind...KL people all very rice one. Certainly looks nice and delicious!!! I quite like hor fun...but the dental surgery upstairs!!! Eeeeee...so takut! Hahahahaha!!!! Always cari makan around PJ/Damansara hor..hehe. The Ipoh hor fun is so yummy looking. RM5.50 mahal also eh. 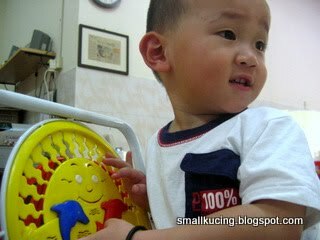 wah...I can say really look like the Ipoh kind! But VERY EXPENSIVE!! 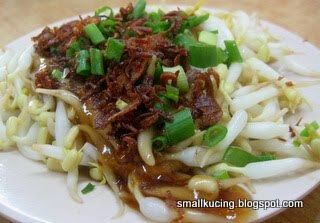 What to do....cannot go Ipoh, have to eat this. Nothing like a fat crunchy taugeh!